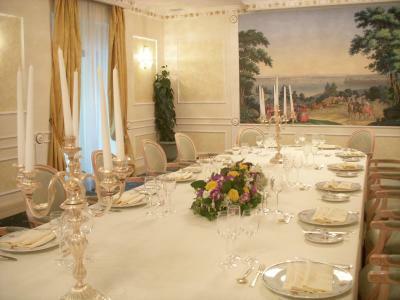 Lock in a great price for Ambasciatori Palace Hotel – rated 8.4 by recent guests! 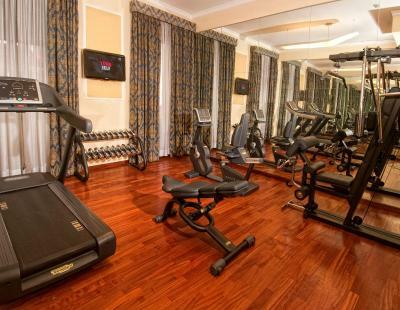 Location is great to reach shopping areas and tourist spots. 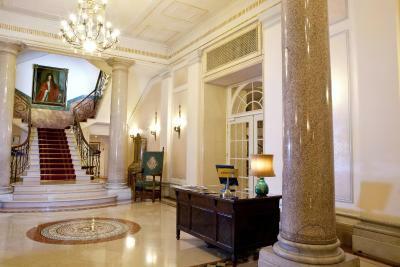 Very friendly staff,especially concierge was so helpful and pleasant. 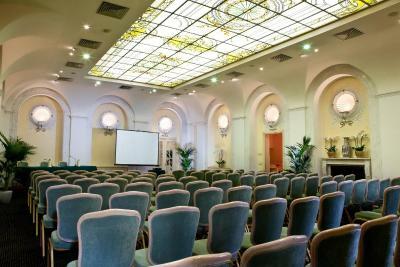 The location was perfect to visit the sites and we love the room size. 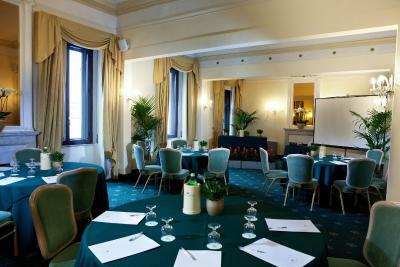 Excellent location, walking distance from Fontana di Trevi and Scala Espagnola. we arrived at the hotel at 11:30 AM and our room was ready and waiting. huge selection on the free breakfast buffet. We’ve stayed there several times. 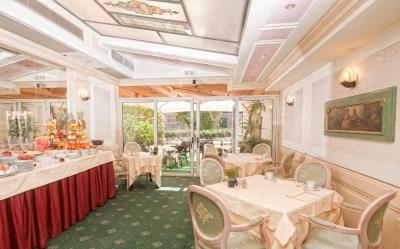 Location on Via Veneto is excellent. The staff is always very helpful and pleasant. 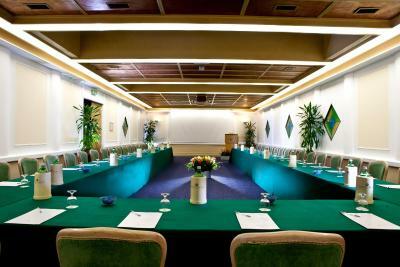 Some of the rooms can use an uplift. 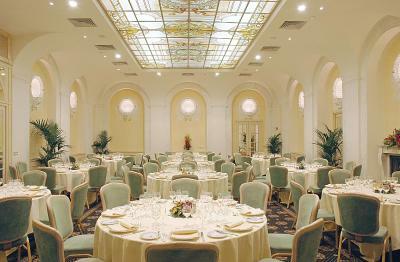 Beautiful, classic hotel with kind personnel giving excellent service. Will return! 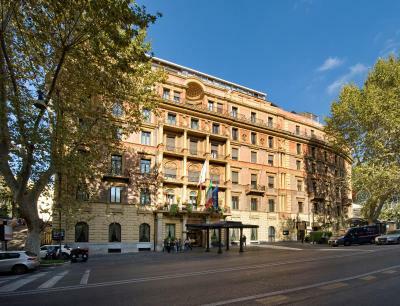 Excellent location just south of Villa Borghese. Huge room with plenty of space to relax. Very good breakfast with very attentive staff. This is a beautiful hotel with a small and cozy bar. 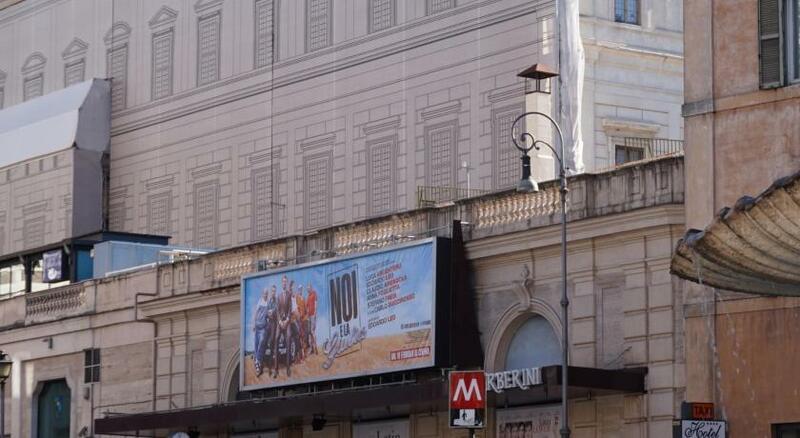 The hotel is in a great location. I was able to walk to the Vatican, Pantheon, Colosseum, Trevi Fountain, Spanish Steps and more. 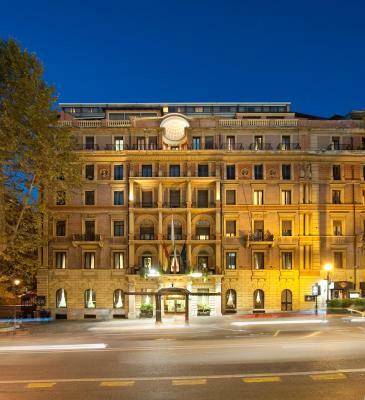 Ambasciatori Palace Hotel This rating is a reflection of how the property compares to the industry standard when it comes to price, facilities and services available. It's based on a self-evaluation by the property. Use this rating to help choose your stay! 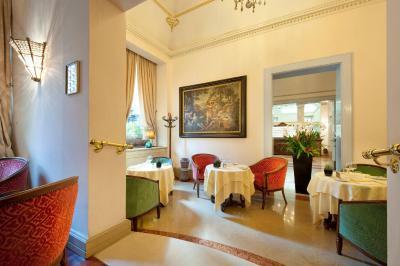 One of our top picks in Rome.A 10-minute walk from the Trevi Fountain, the Ambasciatori is on Rome's chic Via Veneto. 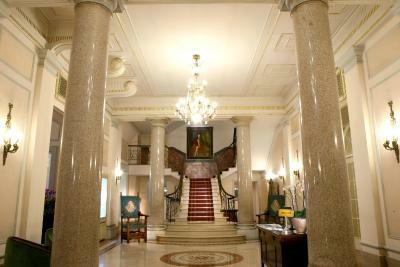 The property is in an early 20th-century building with luxurious rooms and free Wi-Fi. 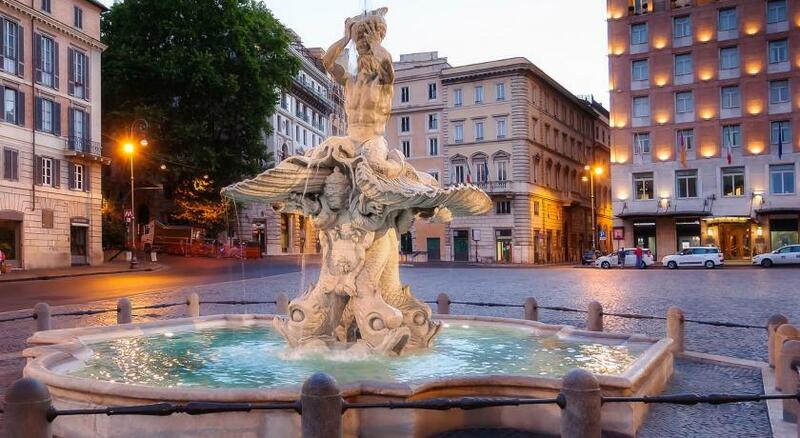 Just under a quarter of a mile from the hotel, the Barberini-Fontana di Trevi Metro offers direct services to the Vatican Museums, Spanish Steps and Termini Station. 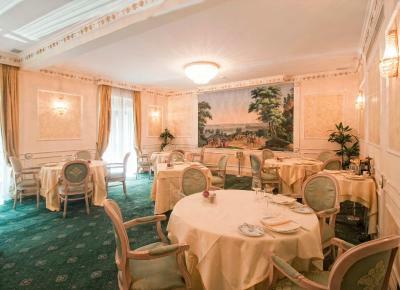 The Villa Borghese park is a 5-minute walk away. 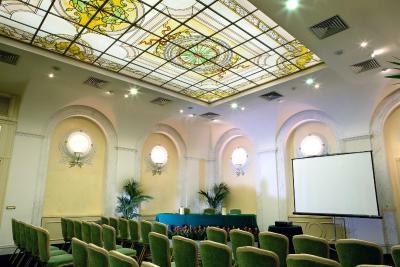 When would you like to stay at Ambasciatori Palace Hotel? 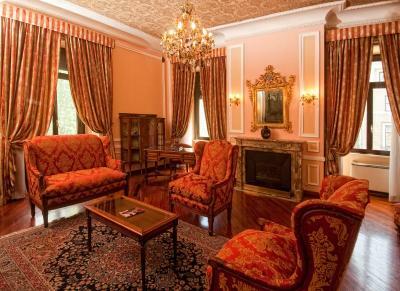 This air-conditioned room with free Wi-Fi and classic-style furnishings overlooks an internal courtyard. 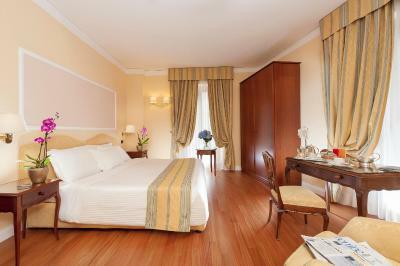 Spacious room with elegant furniture, free WiFi and independent heating and air conditioning. It also features a TV with MediaHub. 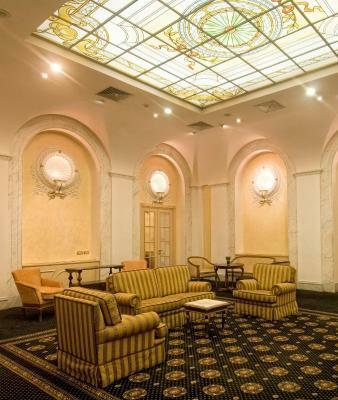 The rate includes VIP check-in in the lobby bar and free newspapers. 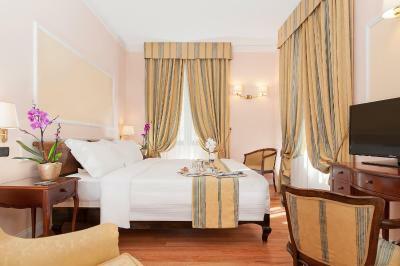 Spacious air-conditioned suite with antique furnishings and artwork. It offers free WiFi. 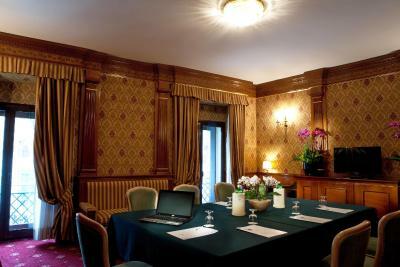 This spacious air-conditioned room with classic-style furniture includes free Wi-Fi. 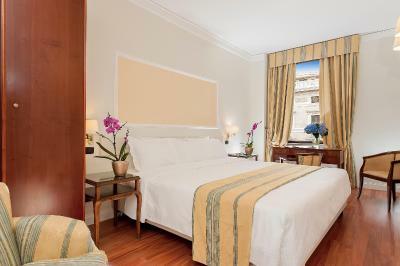 With view of the city, this air-conditioned junior suite features a spacious living area with sofas, elegant furnishings, plus a marble bathroom. It offers free WiFi and satellite TV. 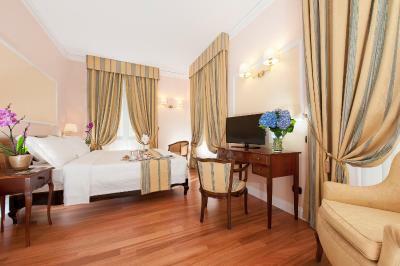 The welcoming and refined atmosphere of Ambasciatori Palace combines with exclusive facilities and a careful attention to technology and comfort.The 152 rooms are spacious, light and finely furnished, decorated in soft colours and with noble themes. 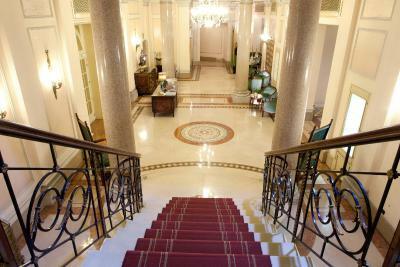 House Rules Ambasciatori Palace Hotel takes special requests – add in the next step! Ambasciatori Palace Hotel accepts these cards and reserves the right to temporarily hold an amount prior to arrival. 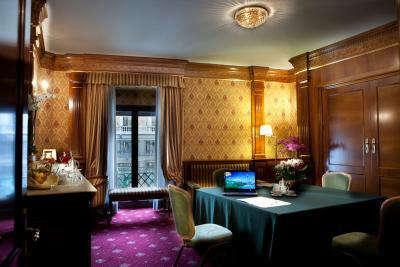 We booked a deluxe room, the air condition liked from the sealing and they changed the room to suite for the same price. 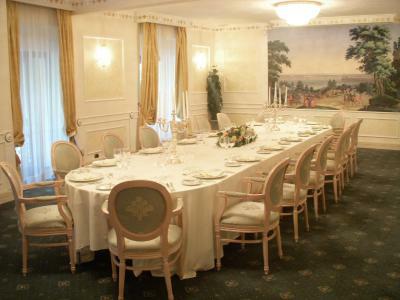 Even so there were many problems in the suite, air condition, lights and many others . In 5 stars hotel it should not exist . No terrace tables for the breakfast. 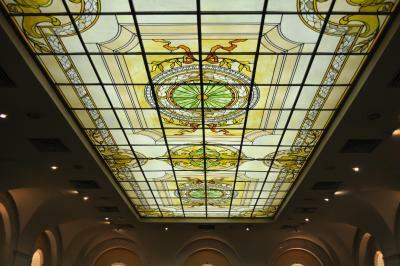 The glass tops on the tables in the room slid quite easily. A fantastic hotel with brilliant staff. We travelled with our 2 year old and the level of attention they all gave us and her to make sure we had the best possible stay was second to none. 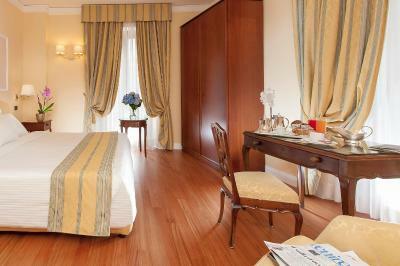 We plan to visit Rome again soon and will definitely be staying here again. Breakfast buffet could do with improving given the quality of the hotel. We stayed in a superior room which was very spacious, with a nice balcony. Facility is below my expectations. Quite old could do with modernisation and better produce for breakfast. 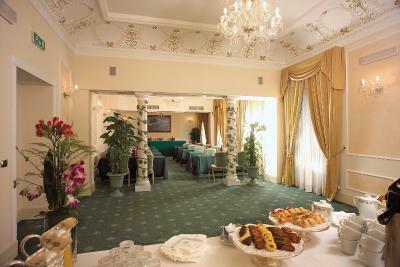 Extremely friendly staff and grand old building in relatively quiet area. 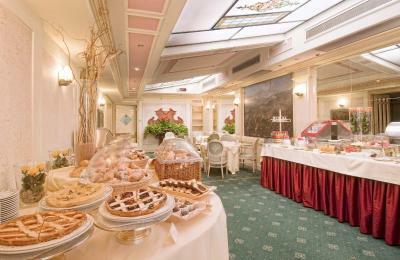 the best thing in this hotel is the breakfast lady “Sabreena “ she has a perfect smile and Warm welcome make you feel like you home.. and also there was anther lady she was very kind too but i forgot to ask her about her name..